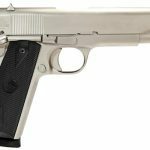 Rock Island Armory's TAC 1911 Matte Nickel .45 ACP handgun it outfitted with polymer grips, it's the 1911 Standard GI Series in a matte nickel finish. 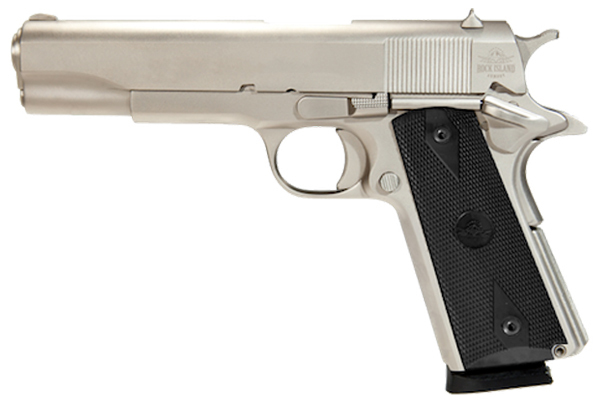 Rock Island Armory’s TAC 1911 Matte Nickel .45 ACP handgun it outfitted with polymer grips, it’s the 1911 Standard GI Series in a matte nickel finish. The .45 ACP extended beavertail 1911 Matte Nickel Tactical will truly be love at first shot. A full guide rod and snag free combat-style, low profile sights are built in for performance. The Tactical Model gives you everything you want in a pistol at great value, plus the backing of the Rock Island lifetime warranty. CLICK HERE to see other Rock Island Armory Handguns! 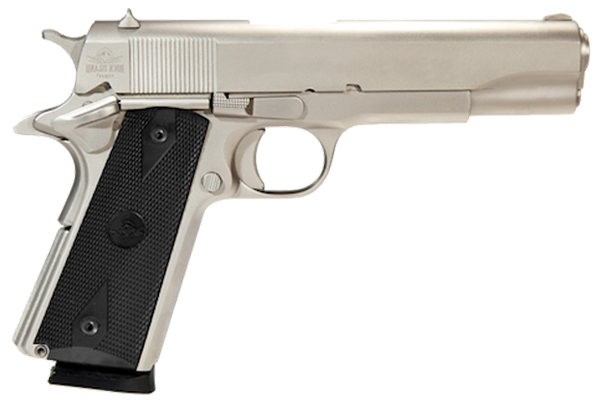 The TAC 1911 Matte Nickel .45 ACP is perfect for the first time shooter or collectors. 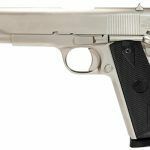 Faithful to the original 1911 design, the Standard GI is equipped with a 5 inch barrel, fixed sights, and an 8 round magazine.